I decided the temperature was cool enough that a hike would be the proper thing to do. My “to do” list was changed. I headed for the Limestone Run area of Armstrong County to see what things of interest would be available. The climb to the top of the hill caused moisture to form within the various parts of my body prone to perspiration. (I had chosen to wear a light flannel shirt to help control skeeter bites.” The walk allowed me to approach to about 20 feet of a resting deer. The deer was behind a fallen tree. The sudden snort alarmed me and the vegetation allowed only a hint of reddish- orange deer color to be viewed. The “fungus among us” time of the year is at hand. 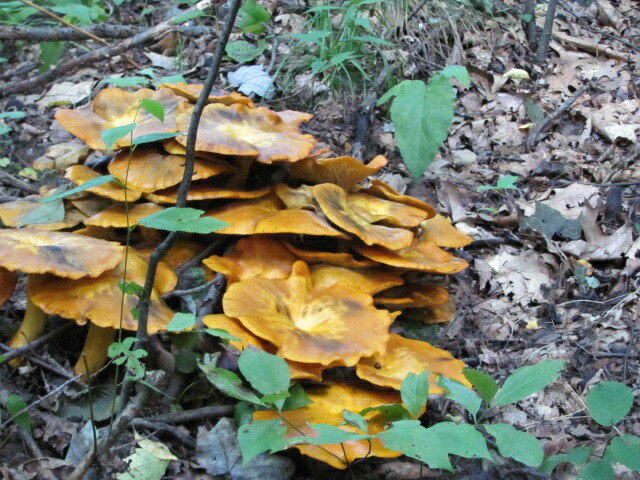 The rainy, hot and humid days with ample rain has allowed many specie of fungus’ to grow in the woods. 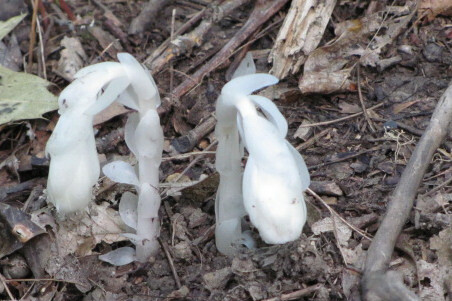 Indian Pipes- a parasitic plant. 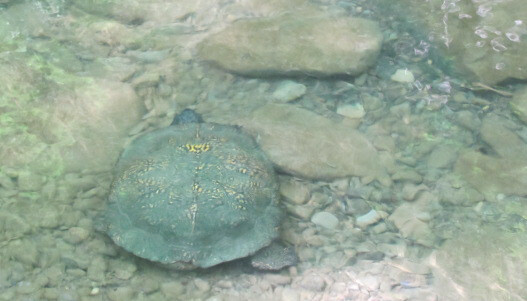 While strolling along the creek I noticed the shiny shell of a turtle. The “wood Turtle” had, apparently, recently left the water. 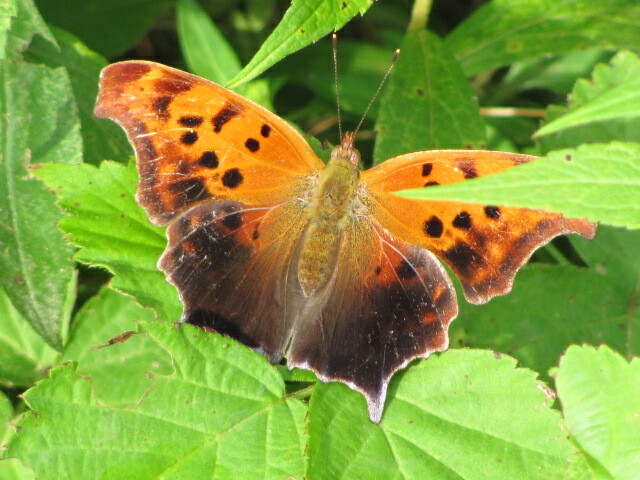 He wasn’t very considerate to me and avoided coming out of it’s shell for a good photo. Eventually, I placed him back into the water and in short order the head and feet emerged and off the turtle went. My dad used to call them “land turtles”. 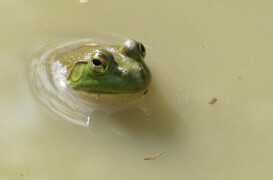 However, they are always in the water or close to the H2O supply. 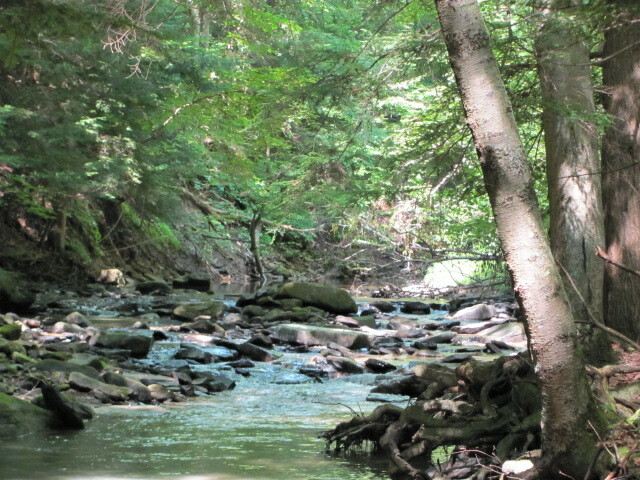 I edged around the creek’s bend and I could see muddy water along the shore. I thought a turtle may be digging around, but upon checking, deer tracks were scattered along the bank. They get thirsty too.